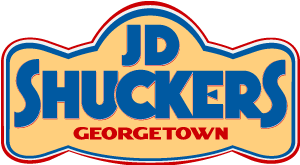 JD Shuckers Seafood Grill & Raw Bar is a year-round gathering place located in Georgetown, Delaware. Our diverse menu not only offers the freshest seafood but also steaks, pork, and chicken. By using the freshest ingredients and locally sourcing much of what we serve, we can offer great meals at reasonable prices. Fri – Sat: 11 a.m. – 10 p.m.